Fishers Mayor Scott Fadness said he doesn’t take raising taxes lightly, and he’s kept a relatively stable tax rate in the City of Fishers since he was elected in 2013. The tax rate has only seen minor fluctuations, staying within a nickel of the 2013 rate, which was 63.98 cents per $100 of assessed value. The tax rate is now at 65.38 cents, but that will change in 2019, when the rate will increase to 69.60 cents, which will help fund several projects. 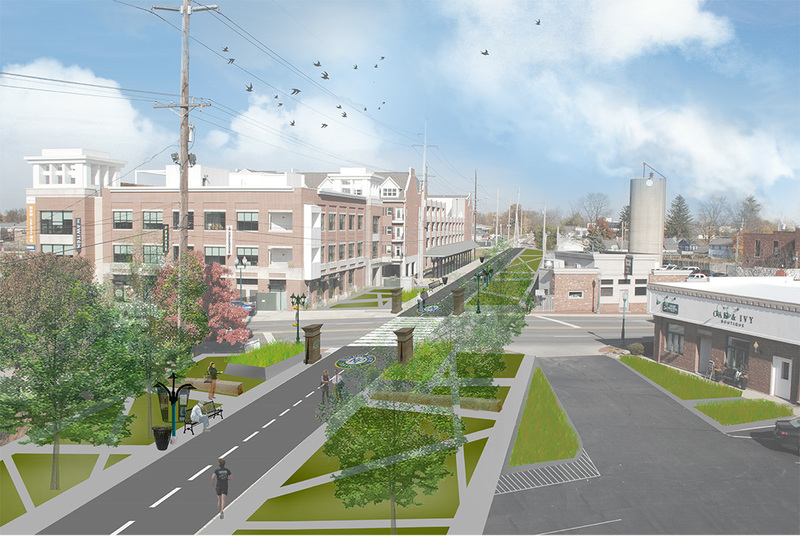 Among those projects is the first phase of transforming the Nickel Plate railroad into a trail. The 4-cent increase, however, doesn’t apply to just the trail. Other applications include rebuilding fire stations 91 and 93, investing in public safety personnel and tackling several road projects. “The City of Fishers looked at that, and we felt like for the investments of two new fire stations, several road projects and the first leg of the Nickel Plate Trail, along with funding operating priorities, a 4-cent increase still put us at the lowest of the four major metropolitan areas, and the second-lowest in Hamilton County,” Fadness said. Construction of the first leg of the trail involves between 1 and 1.5 cents of the tax raise. The 2019 trail project is expected to cost approximately $9 million, which will create a trail from 106th Street to 126th Street, with a possible tunnel under 116th Street instead of a pedestrian crossing. The trail will be 16 feet wide to allow for two-way traffic. If all goes as planned and the bonded projects cost below city estimates, the trail will extend further north and south. City officials said they have only received opposition to the trail from the Save Our Train group. Logan Day, the group’s executive director, said the organization represents more than 11,000 residents who have signed a petition to keep the railroad tracks. Day said there would be historical and economical benefits by keeping the railway. He said he wished the city would construct a trail alongside the railroad. The Nickel Plate Trail could break ground as early as next spring, with construction from 106th Street to 126th Street possibly wrapping up by the end of next year. As part of a preliminary design phase, the City of Fishers sought input on what students would like to see with the creation of a Nickel Plate Trail. “There have been a couple opportunities we have had to go talk to students about what they want to see from the trail, and I think those are some of our most creative ideas,” Public Relations Director Ashley Elrod said. Students from both high schools, New Britton and Harrison Parkway elementary schools participated. Community members also have submitted more than 1,500 ideas for the city to consider when constructing the trail. Ideas include pop-up retail shops, a hammock area, places for relaxation and meditation along the trail.